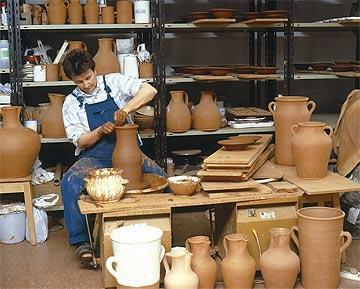 One of the most attractive activities associated to the Ollerías Museum is the visit to the pottery where visitors can watch potters at work and receive explanations about their techniques and methods. The workshop shows how items are made and all the work involved before they are fired at temperature of close to 1000ºC. 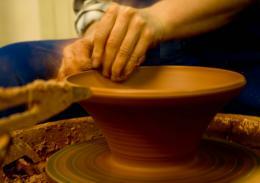 The process ends when the items are enamelled and decorated. They are then fired a second time to glass the enamel and fix the colours. All the items produced are on sale.